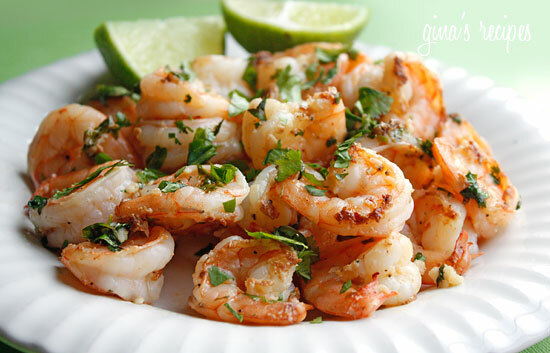 Cilantro and lime make this simple shrimp dish outstanding – and it takes just minutes to make! We serve it over rice or with a big avocado and lettuce salad. 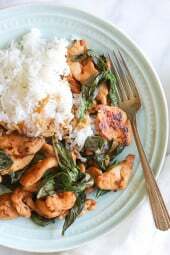 I also enjoy Honey Garlic Shrimp, Spicy Thai Shrimp Salad and Indian Shrimp Curry. Add 1 teaspoon of the oil to the pan, then add half of the shrimp. Cook them undisturbed for about 2 minutes. Turn the shrimp over and cook until opaque throughout, about 1 minute. Transfer to a plate. 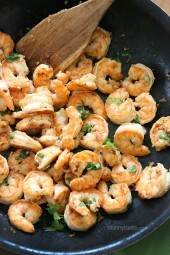 Add the remaining 1 teaspoon oil and the remaining shrimp to the pan and cook, undisturbed, for about 2 minutes. 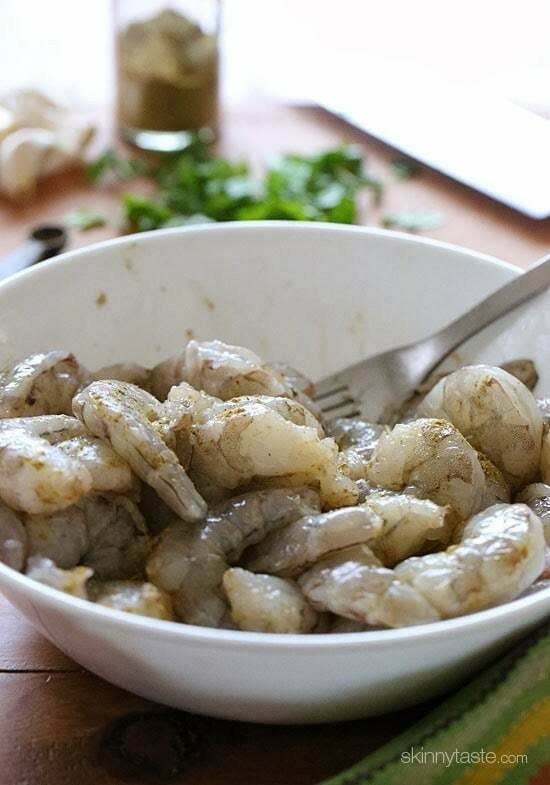 Turn the shrimp over, add the garlic, and cook until the shrimp is opaque throughout, about 1 minute. 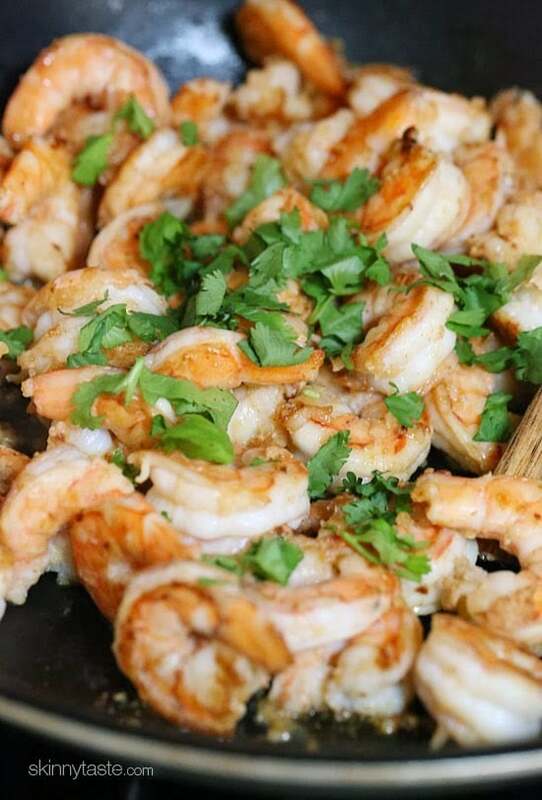 Return the first batch of shrimp to the skillet, mix well so that the garlic is evenly incorporated and remove the pan from the heat. 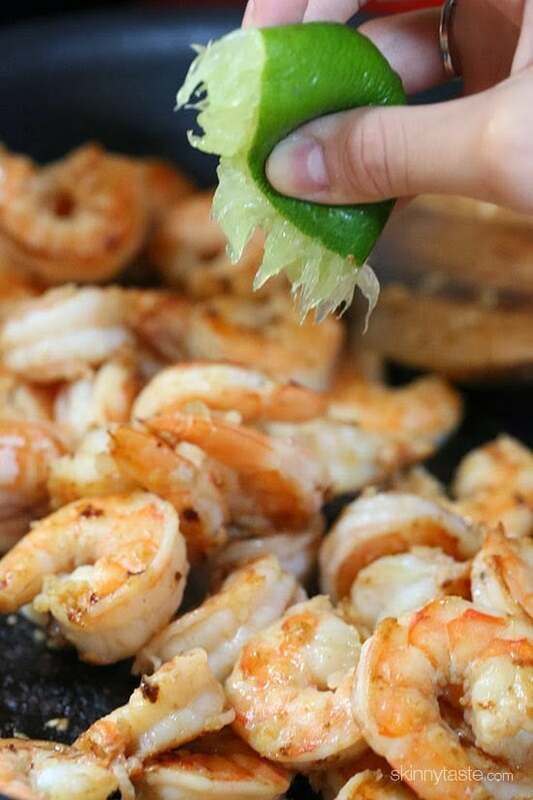 Squeeze the lime juice over all the shrimp. Add the cilantro, toss well, and serve. Made this tonight with brown rice and French green beans. It was extraordinary!! And soo easy. Dinner was so pretty, we actually set the table and ate as a family! 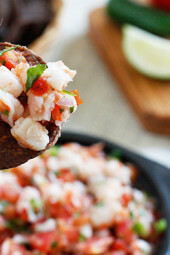 Can’t wait to use the leftovers in a shrimp taco with fresh avocado! Thank you!